Floral Artistry By Alison Ellis | » What’s your personal wedding bouquet style? What’s your personal wedding bouquet style? Each couple has their own style and each bride has her own bouquet style based on the types of flowers she’s drawn to, the overall style of the wedding, the look of her dress and her “vision” of a perfect bridal bouquet. You may have no idea what your vision is, and to this all I can say is–you’ll know it when you see it! Whether you’ve been keeping a secret Pinterest board of the bouquet that you stumbled upon 5 years ago (loooong before you were engaged!–don’t worry your secret is safe with me!) or you feel like you may never figure out what you want, if your florist “gets you” then you will likely get the right bouquet. Today I have 8 different bouquet styles for all seasons. 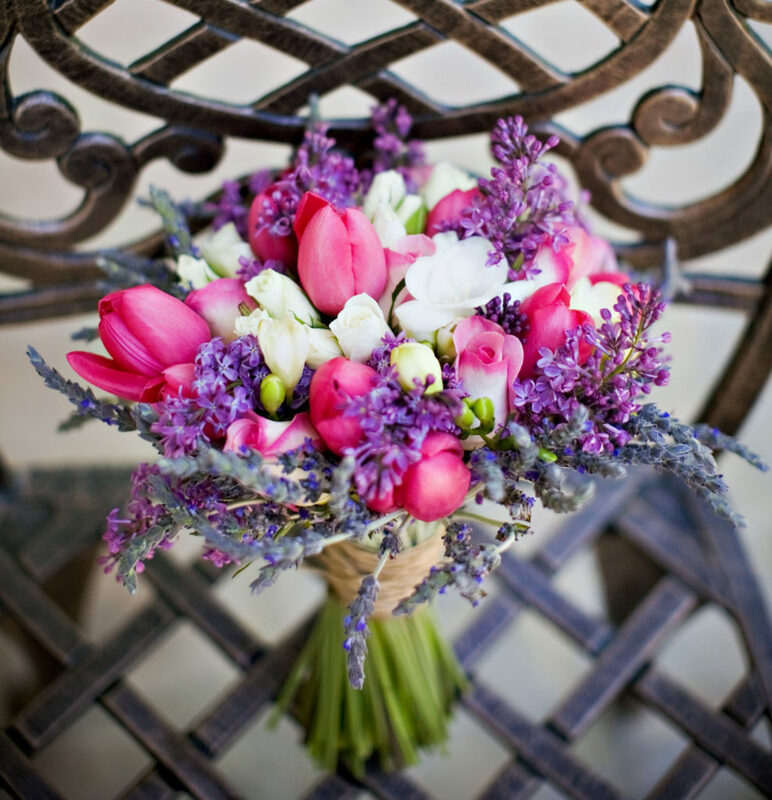 A spring bouquet with an upscale country style shot by Daria Bishop Photographers includes tulips, lilac, roses and fresh lavender for a May wedding. A garden-inspired bouquet in soft pastels has a romantic feeling with garden roses & nerine lilies. Classic white blooms are always in season and never go out of style. 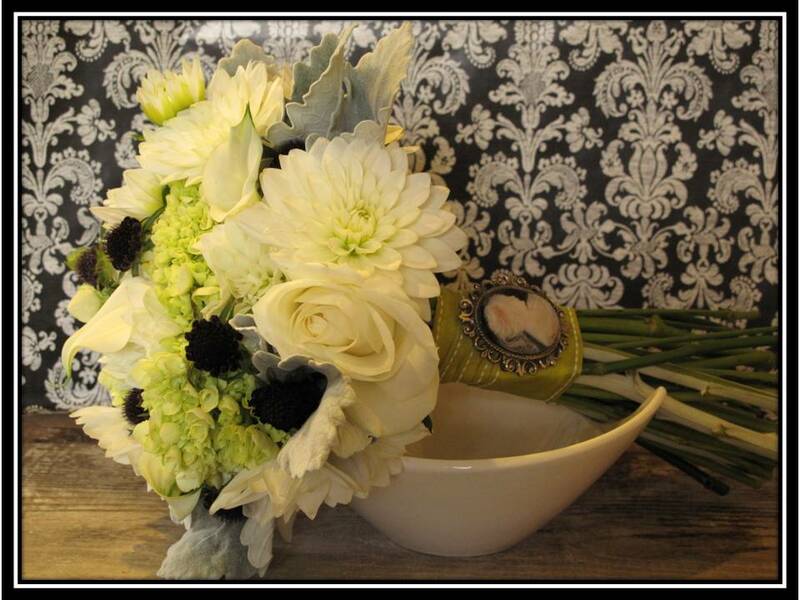 Pictured here are antique hydrangea, garden roses, ranunculus, sweet peas, lisianthks and freesia. For a bride who’s not afraid of color this bold bouquet adds a fun pop with ranunculus, delphinium, stock, sweet William, freesia, lilies & geranium foliage. 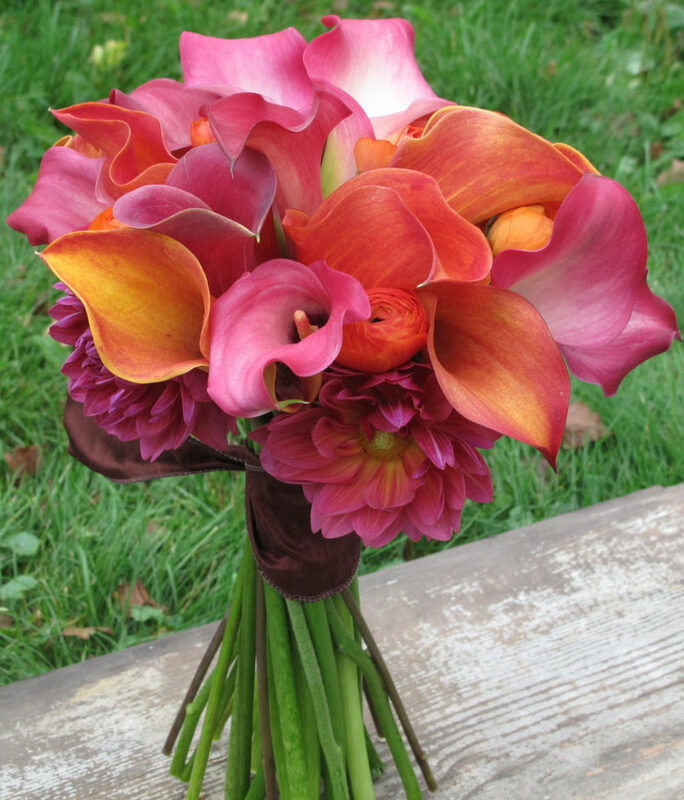 Callas in orange & pink create a clean, modern shape. Dahlias and ranunculus add a little texture. A seasonal fall bouquet that’s both a little bit country and bridal. Casual sunflowers mixed with formal callas & roses along with berries & foliage are distinctly autumn. Winter weddings in Vermont make me think of classic whites with textured greens. Winter weddings don’t have to be “holiday”. What’s your wedding style? How much is it influenced by the season?